The final cities have earned their way into Super Bowl 45. The Pittsburgh Steelers and the Green Bay Packers will face-off in Texas on February 6 for the Lombardi trophy. 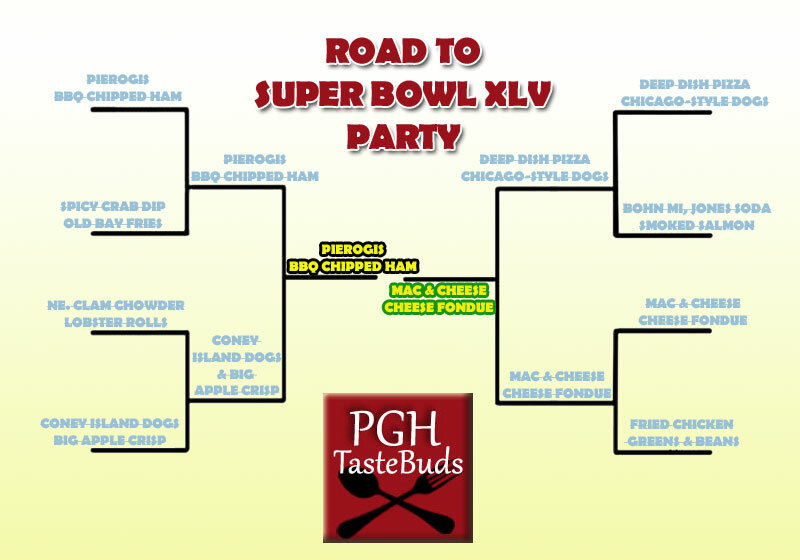 While both cities compete in the ultimate football showdown, we will be having a piece of each city in out Super Bowl Party menu. However, being from Pittsburgh, the menu will obviously favor out home team. Full gameday menu and recipes coming soon!